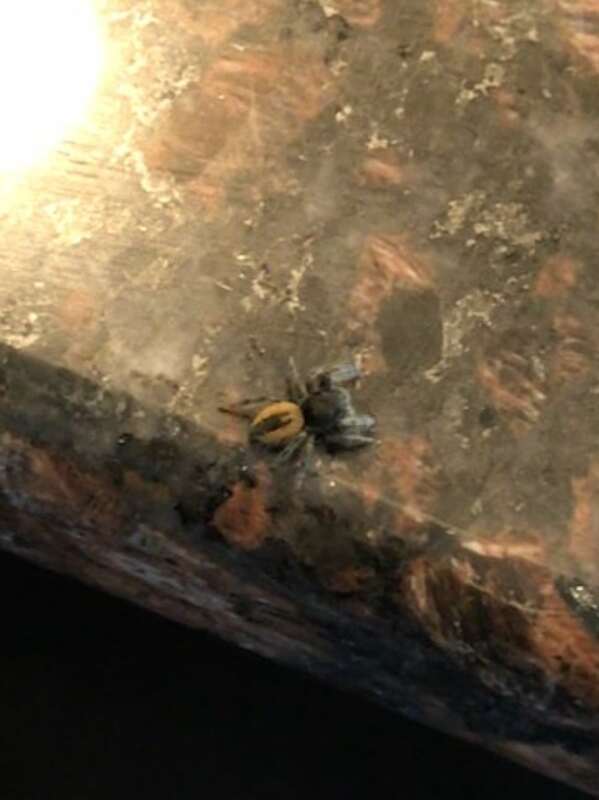 Looking to identify this spider. I saw it on my kitchen counter in Chicago but I think it came from a box of California pomegranates from Costco. It was probably 0.5 inches big. Thanks. Can anyone help identify this spider? Most likely a phidippus johnsoni female, also known as the johnson jumping spider.